Kaitlyn graduated from the massage therapy program at The Humber Institute of Technology and Advanced Learning and has completed an advanced training certification in the Dr. Vodder method of Manual Lymph Drainage (MLD) and Combined Decongestive Therapy (CDT). Drawn to the profession for its healing capabilities, she believes that massage presents a foundation for rehabilitation, exercise education, health maintenance, and wellness. Through soft tissue manipulation, trigger point therapy, deep tissue massage, and manual lymph drainage, she works to provide a comprehensive and well-rounded treatment specific to each individual. 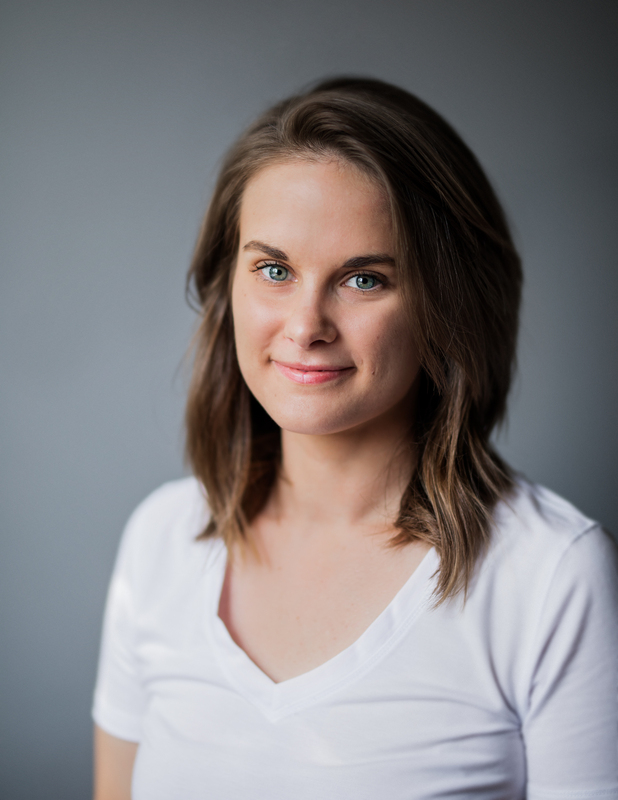 Kaitlyn values a patient-centered care approach to all treatments and utilizes massage therapy to assist and optimize the health and wellness of her patients. She has experience treating patients with edema, tendonitis, chronic back and neck pain, rheumatic arthritis, headaches, neuropathies, pregnancy and postpartum etc. 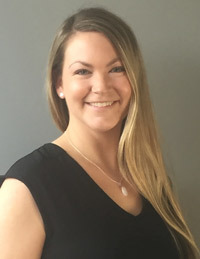 Along with providing a therapeutic treatment, Kaitlyn has a strong passion for educating patients in safe and effective home care and remedial exercises. Outside of work, Kaitlyn loves staying active and participates in various recreational activities including hockey. She also enjoys trying new cooking/baking recipes and spending time with friends and family. Gerry is a Registered Massage Therapist in Ontario and graduated with outstanding performance in massage therapy from Pharma Medical Science College of Canada (PMCC). Gerry specializes in deep tissue massage focused on treating sports injuries, post-surgery rehabilitation and chronic pain management. Gerry offers effective, specialized treatment on conditions such as frozen shoulders, low back pain, sciatic nerve issues, Joint dysfunction and much more. Gerry is also an astute practitioner of Swedish Massage and offers unique skills “dry hands” massage; a technical technique which combines traditional Japanese Shiatsu, Chinese Tuina and Thai massage. Julianna graduated with a degree in Kinesiology from the University of Windsor and continued her education at The Transformational Arts College learning a wide range of holistic modalities. To further her passion for helping others on their healing journey, Julianna enrolled and graduated from the Sutherland-Chan School of massage therapy. The focus of Julianna’s treatments is to reduce stress and increase the feeling of relaxation and well-being. When the body and mind are in a stressed state, any kind of pain or discomfort felt in the tissues – whether by injury, overuse or postural imbalances – can decrease or disrupt the body’s natural healing abilities. By using a multitude of techniques such as tissue manipulation, breath work, and Aromatherapy, Julianna’s techniques aid the body to relax, encouraging healing on all levels. As we are all uniquely designed, treatments are created based on each individual’s needs and personal goals. Julianna’s hope is to assist others to get back to their daily activities stress-free, pain-free and with greater mobility. By working with the person, Robbie develops his treatment plans with the patient’s goals as a primary focus. Through his knowledge of anatomy, pain referral patterns, postural compensatory patterns, and orthopaedic testing, Robbie is quick to determine palpable areas where tension and pain reside and originate. He achieves relief using masterful pressure and technique sequences that include myofascial release, deep tissue manual therapy, trigger point techniques, dynamic release techniques, joint mobilizations, and general Swedish massage. 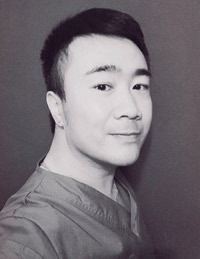 He takes his patient’s needs and preferences into consideration and adapts his treatments to best suit each individual. 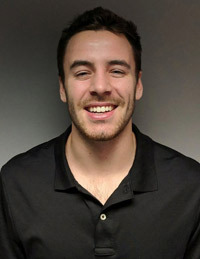 Aside from massage therapy and kinesiology-related interests, Robbie is an avid traveler and adventurer who gets a thrill out of exploring nature and making connections with people. He loves all kinds of music and enjoys jamming with friends and strangers. He also has a passion for teaching and has spent time educating and having open discussions with youth about mental, sexual, and physical health. We looking forward to helping you and meeting your goals. Contact Us today at (416) 489-0077!